The 4 Mcclellan's: No diet, no exercise, no danger!! Wow! I guess I will stick with my current exercise program and try to eat a bit healthier for now. 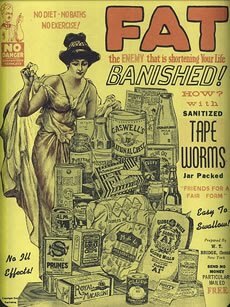 But if I don't start getting results soon, I bet there's a black market for tapeworms out there somewhere, right?